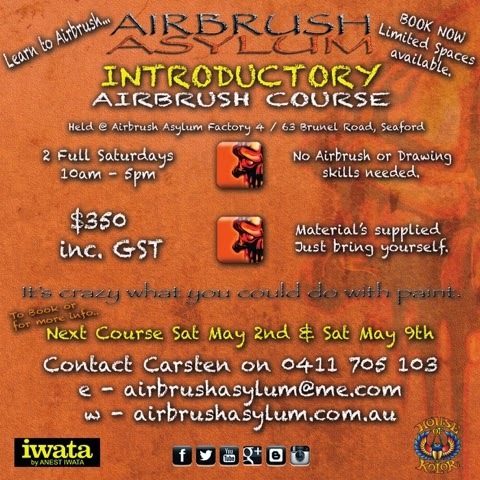 We still have a few spots left for our Introductory airbrush course which kicks off this Saturday. If you are interested then contact us to book. New Website and Online Store, check it out..
We are excited to finally launch our New Website and Online Store. 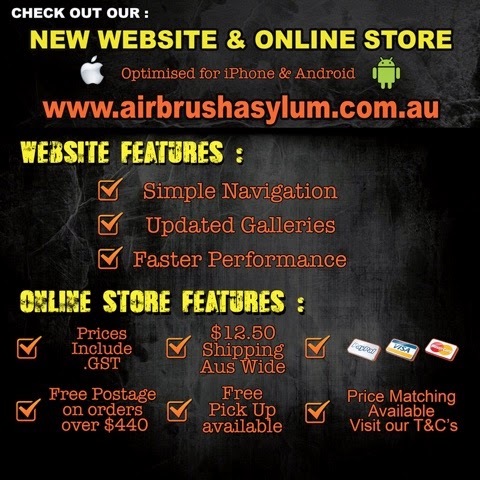 The website is now easier than ever to navigate and the whole experience including the online store is iPhone and android friendly. We hope that you enjoy checking out our new site, check out the banner below for more details on the improvements.